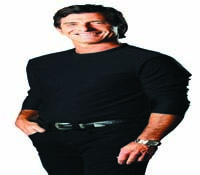 In town to run his Millionaire Mind intensive workshop for the first time in the city, entrepreneur turned finance guru Harv Eker tells us why the only thing holding us back is ourselves. With the motto a�?talk is cheapa�� he shares strategies that helped his own rise to success. For 12 years I was broke, and went through a dozen different jobs. What I didna��t realise was that the problem was with me. Once that became clear, I was able to work on myself, put my words into action, and I became a millionaire through a retail fitness business. As Ia��d come from nothing, people started asking me how Ia��d managed it! I know the pain of not doing well, and what embarrassment means, and ita��s therefore incredible to pass on what Ia��ve learned to others. Do your methods transcend cultures? It does depend country to country and person to person. The responses are different but every mind and heart is essentially the same. If you can get rid of the garbage in your mind you can achieve success and change your life. I can see in the crowds all over the world who come to meet me, that they are open to learn from me, and want to gain something positive for their life. Whata��s the role of luck? the right action. Luck can make you more or less in life, but at the same time you need to be sure to identify your unconscious conditioning about money. The main causes of financial problems? The only cause of financial problems is yourself. You need to work on yourself, you need to understand what you need to know and what you are good at a�� your belief system is the root of your own success. You have to believe that you can handle finance. I came from a poor family, but I didna��t want to live my life like earlier generations. Who can benefit from the Bengaluru workshop? I am expecting people who have their own business, those who are in employment, individuals from top management, youngsters and just people who want to be financially successful. After all, you need to start from the ROOT to build up.